Neurogastroenterology is devoted to studying "the interface of all aspects of the digestive system with the different branches of the nervous system." Over the past 15 years, advances in this field have greatly improved our understanding in primary functional and motility disorders in children. Neurogastroenterology has also begun to revolutionize our vision of "organic" diseases like inflammatory bowel disease, obesity, and diabetes, as well as microbial-host interactions. Major advances have also been achieved during these years in the knowledge of mechanisms of development of the enteric nervous system at the molecular level, allowing a better understanding of diseases related to developmental anomalies and opening perspectives to new treatments with stem cells. 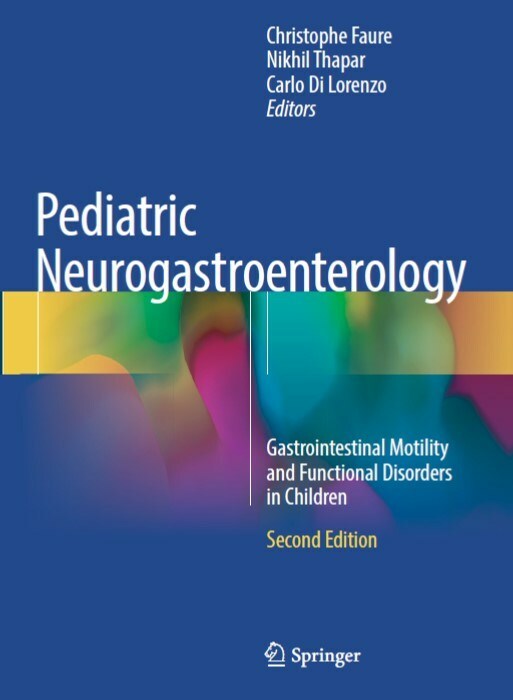 The second edition updated in 2017 of Pediatric Neurogastroenterology: Gastrointestinal Motility and Functional Disorders in Children is dedicated to reporting the most accurate and recent knowledge in the field. Written by the world-renown experts, the book covers the field by providing a comprehensive and up-to-date review and practical guide to pediatric gastrointestinal motility and functional disorders for pediatricians, pediatric gastroenterologists, adult gastroenterologists and all professionals involved in the treatment of children with such disorders.